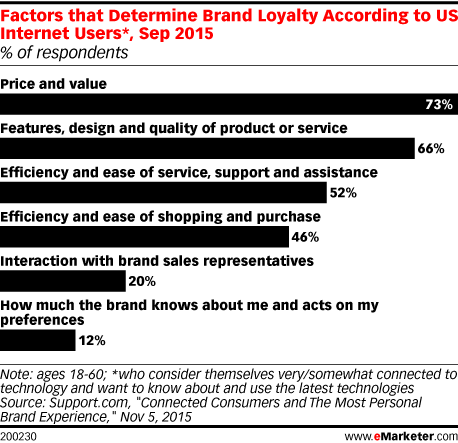 Data is from the November 2015 Support.com study titled "Connected Consumers and The Most Personal Brand Experience." More than 1,000 US internet users ages 18-60 were surveyed online in September 2015. Respondents were surveyed about their experiences with brand manufacturers. In addition, more than 900 respondents who identified themselves as "connected consumers" (people who use technology for everyday needs, want to know about and use the latest technologies and consider themselves somewhat/very connected to technology) were surveyed on their behaviors and preferences.